2018 Land Pride SPL1060 for sale in Canastota, NY. White's Farm Supply, Inc. 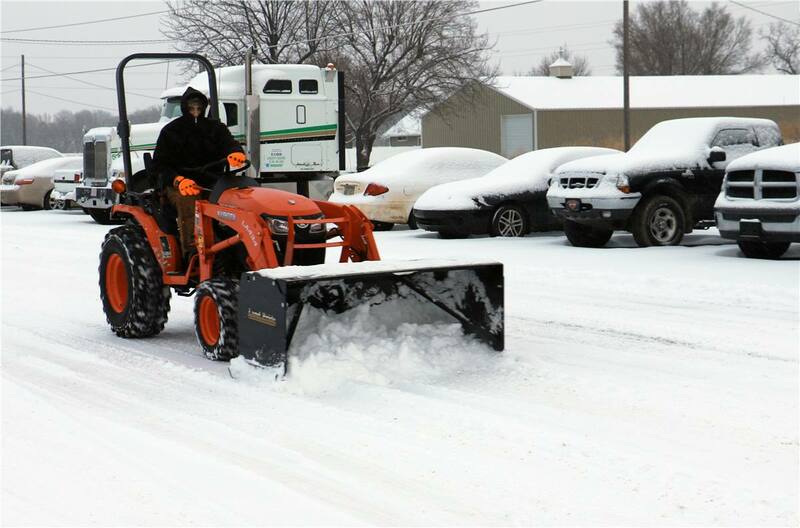 The SPL10 Snow Pusher is available in 60", 72", and 84" with a 24" x 24" box, 10 gauge moldboard, and 1/4" sides. Both models come with optional steel or poly blade, optional pull back and replaceable skid shoes. The SPL10 skid shoes are manufactured from abrasion resistant AR400 steel. Universal quick-attach hitch: Quick and easy to hook-up. Fits tractor loaders with a universal quick-attach hitch. 1/4" Heavy side panels: Built heavy to handle the tough jobs. Reversible skid shoes: Skid shoes wear faster at the leading edge. Skid shoes that can be reversed will last longer than non-reversible skid shoes. Replaceable skid shoes: Skid shoes can be replaced before side panels start to wear on the bottom edge. Skid shoes are constructed of AR400 steel: Abrasion resistant material extends wear life. Adjustable rubber blade: The blade can be adjusted down as it wears to extend its life. Reversible rubber or steel blades: The blades can be reversed to extend life fo the blades. Replaceable rubber or steel blades: The blades can be replaced to extend the life of the Snow Pusher. Pull back with 1/2" weld-on steel blade: Used to pull snow away from structures such as garage doors. With rubber blade: 321 lb. ; With steel blade: 346 lb.